One of the tallest and showiest of the rupicolous laelias. 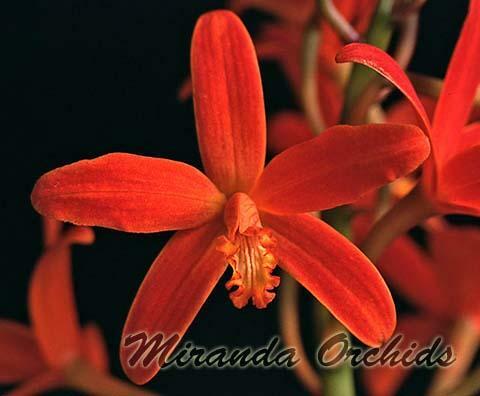 The 1 ½” to 2” flowers are produced clustered on top a long inflorescence and can count at 20+. Colors vary from bright orange-red to red, typically as in the photo.